Testosterone is one of the most anabolic hormones found in the body. If you are trying to build muscle mass, you want to get your testosterone levels as high as possible to make it a lot easier for you to reach your physique-enhancing goals. Activlab presents an all-natural testosterone-boosting agent that will give you roof-to-ceiling testosterone levels in no time... meet the Tribu Stallion! 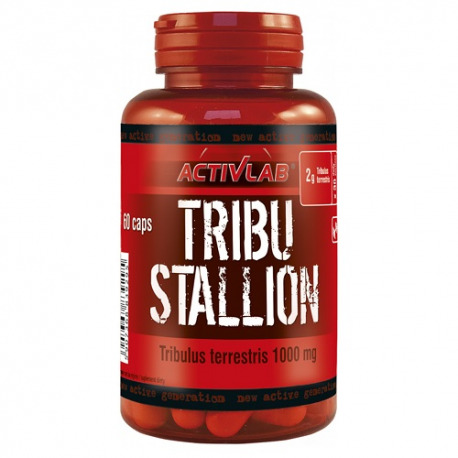 Tribu Stallion contains powerful Tribulus Terrestris, a plant raises levels of Luteinizing Hormone, which in turn activates the production of more testosterone. High testosterone levels in your body makes it easier for you to grow stronger and denser muscles. Expect to be more confident, more motivated and more aggressive. With high testosterone levels, you will be able to workout at higher intensities and for longer periods of time! Don't miss out on the testosterone-boosting effects of Tribulus Terrestris. It's time to saddle up and ride the Tribu Stallion! 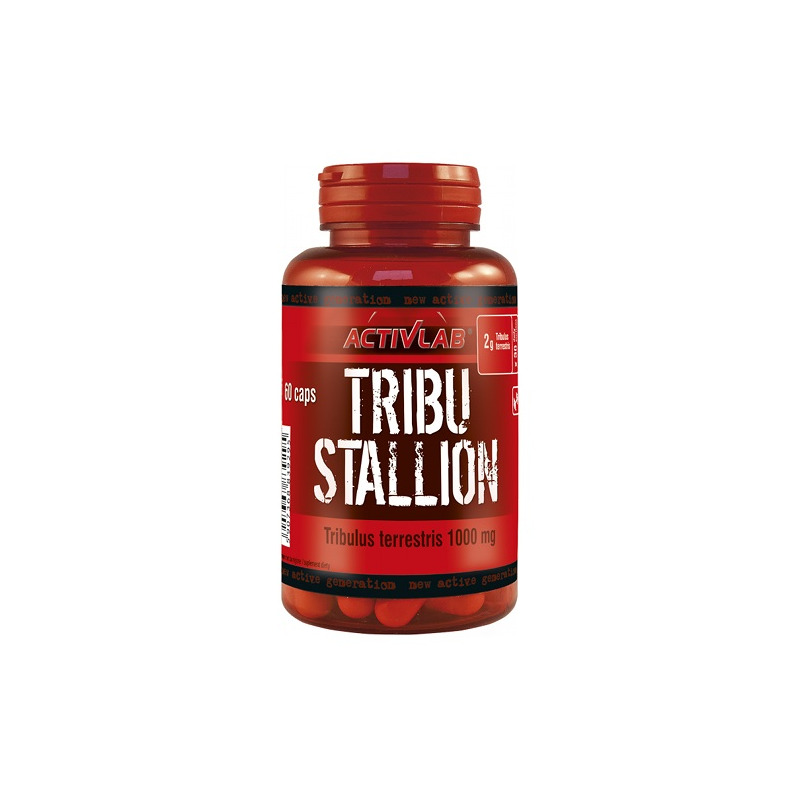 Tribu Stallion 60 capsules Serving Size: 2 capsules Number of Servings: 30 Per serving % Daily Value > Tribulus terrestris extract 2000 mg * Tribulus Terrestris including saponins 1200 mg * Other Ingredients: Tribulus terrestris extract, anti-caking substance E470b, capsule shell (gelatin, dye E171). ALLERGEN INFORMATION: May contain traces of soy, wheat and nuts. Take 1 - 2 capsules. WARNINGS: Do not exceed recommended daily dosage! This supplement should not be used as a substitute for a varied diet. Do not use this product if you are pregnant or nursing.